Have you ever thought about life of travelling circus? Leaving aside the "reverse side of the coin" issues obvious toeveryone and considering theromantic aspect? All theroads, new cities and countries along the way, new meetings and old friends, and a merryfestival in every city? Now we are inviting you to try on this lifestyle. Welcome to the "Shtandart" crew! We will have to work together at the festival "Semaine du Golfe" with its daily rides around the bay and the strait crowded with sailboats, where tidal current is up to 8 knots; with evening gatherings on the deck beholding the lively waterfronts, and walks around Vannes. Then we leave for Rouen. 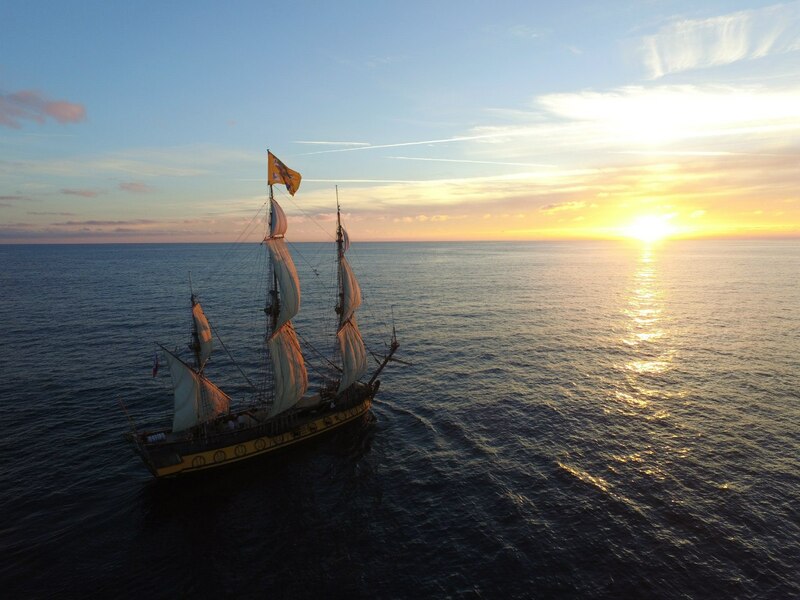 This trip consists of 450 nautical miles across the Bay of Biscay, a turn to the English Channel, and a sail up Seine river. Of course there will be no less mast climbing, sail setting and underway watches than in any of other legs, but now with an extra special meaning. 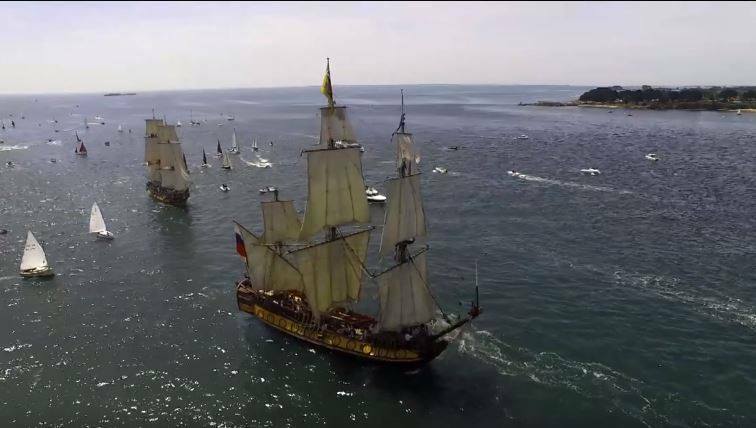 "Armada de Rouen", one of the largest sailing festivals in Europe, is waiting for us in Rouen. It happens once in 5 years, so the next chance to witness the event of such unprecedented scale will not be so soon. We are going to be in the very center of the festival. Public visiting the ship, evening sailing parades highlighted with the spotlights, cannon salutes from the ships and city fireworks. During the previous “Armade” crews from Russian sailboats were invited to Russian Embassy in Paris; who knows, what kind of surprises this festival will bring us this time? Voyage Vannes – Rouan is not like the previous Spring legs. This time, busy and sometimes tense festive days complement the traditional nautical routine. We love this lifestyle, and would not agree to change it for anything else. Now we offer to share it with you so you too can become a hero of an adventure novel!